The Saint John's Evangelical Lutheran Church congregation of Greenpoint was founded in 1867. 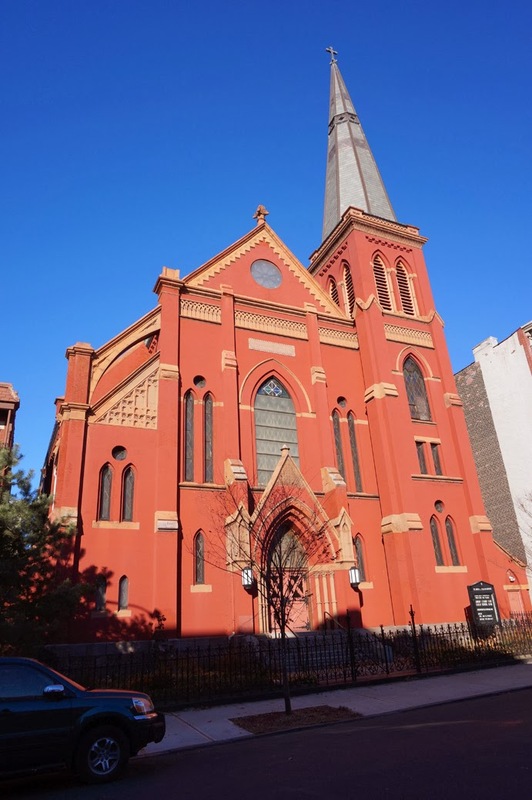 The congregation’s services were first held at Union Hall on Manhattan Avenue prior to building their first church on Leonard Street near Greenpoint Avenue in 1869. The original church was a wood frame building with a capacity for 350 people. 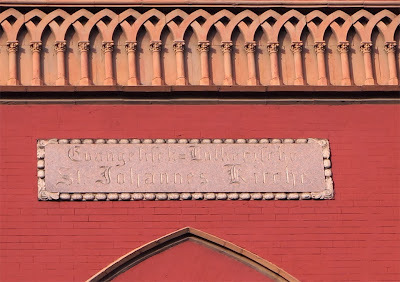 In addition to the church, the congregation founded a parochial school with instruction in German and English. 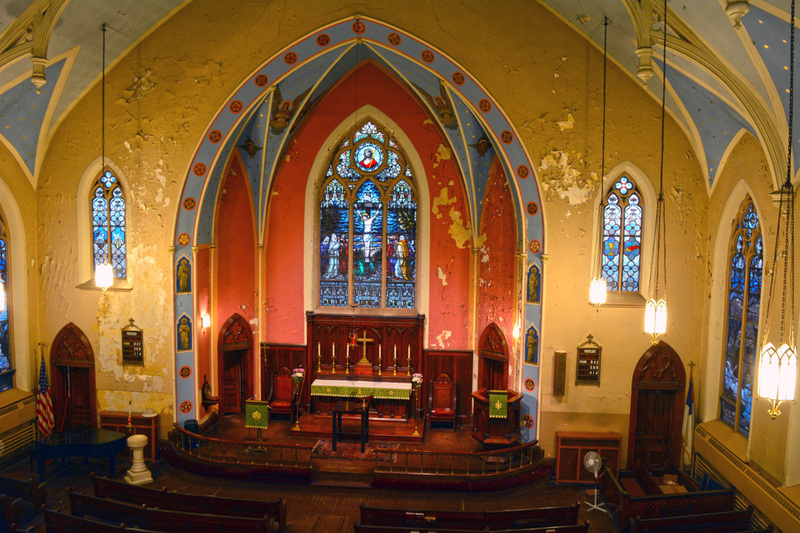 Outgrowing its original sanctuary, the congregation purchased the Milton Street site in 1890. In the early 1900s the congregation continued to grow until the neighborhood’s demographics began to change. 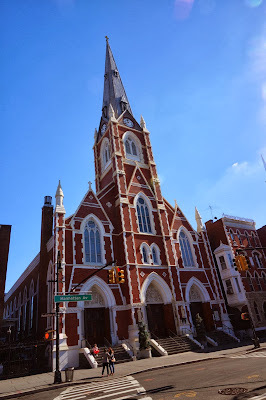 During the latter half of the twentieth century, the congregation declined as Greenpoint became a predominantly Polish, Roman Catholic enclave. However, over the years the church has maintained a core fellowship that continues to thrive to this day. 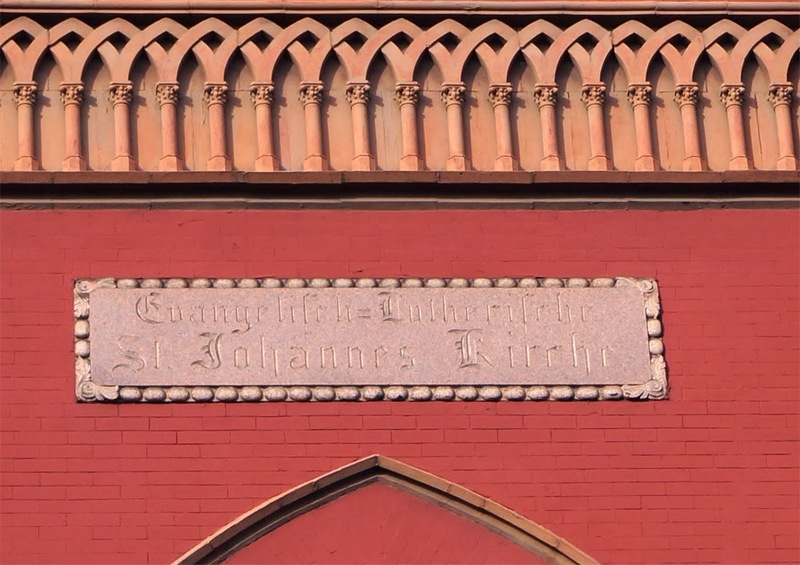 Inscribed above the door is the churches moniker in German "Evangelische-Lutherische St. Johannes Kirche". 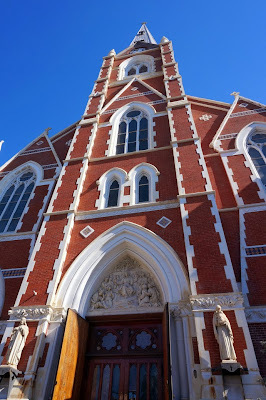 Saint John’s Evangelical Lutheran Church was built 1891-1892 to replace the original building on Leonard Street. The church was designed by architect Theobold Engelhardt in a German Neo-Gothic style. Born in Williamsburg in 1851, Theobold Engelhardt was a prolific North Brooklyn architect that helped define the built environment of Greenpoint, Williamsburg, and Bushwick. Some of Engelhardt's other architectural contributions to north Brooklyn include the Greenpoint Home for the Aged, Northside Savings Bank and a few of the Eberhard Faber Pencil Factory buildings (60-64 Kent Avenue). The church is constructed of Philadelphia pressed brick and rugged granite. Helping to balance the façade’s composition is a lone flying buttress acting as a visual counterweight to the tower which is capped with a slate clad spire. 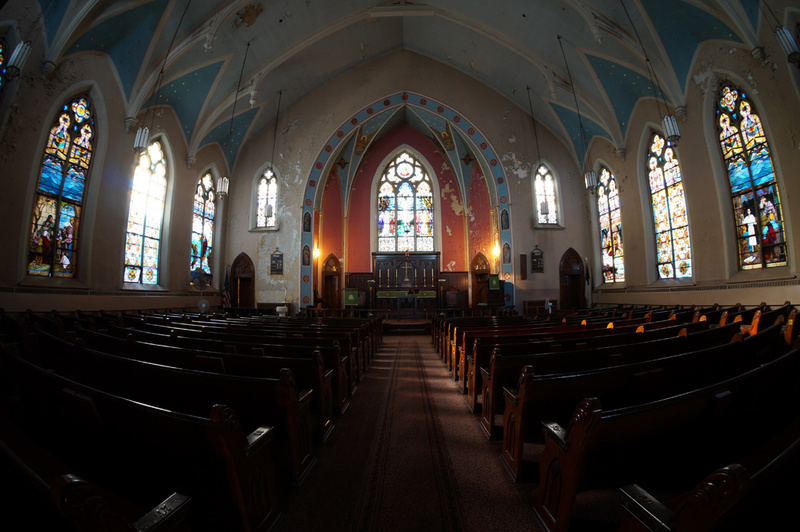 The church interior features blue vaulted ceilings, wooden pews, and Gothic style pendant light fixtures. There are six memorial windows which were donated by members of the congregation and the Ecce Homo window, above the alter, was a gift from the pastor. 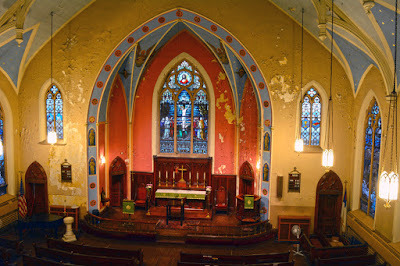 In 1927 the church was redecorated and refurnished. The central crucifixion window was added and the existing pulpit, constructed of wood from Germany’s Oberammergue forest, was added. 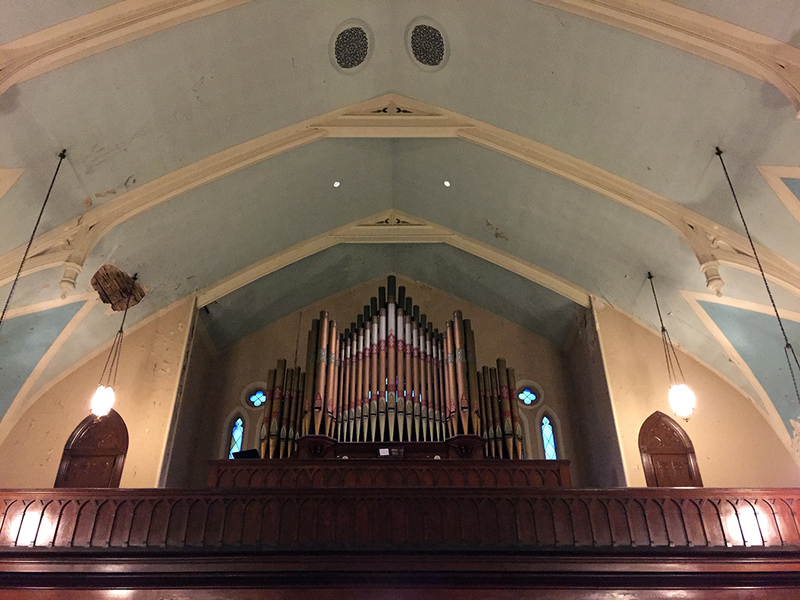 In addition, there is an organ in the mezzanine over the main entrance. The organ is a tracker-action Jardine & Son 1214 Pipe Organ. 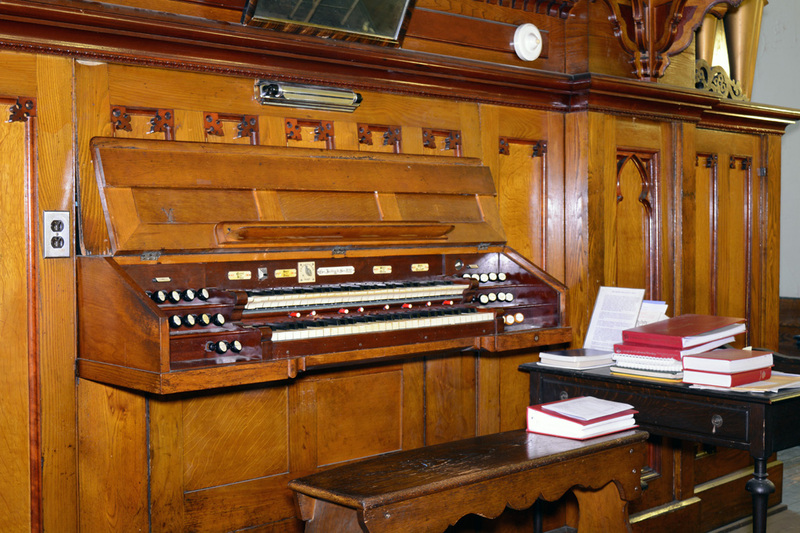 Jardine & Son was a New York based organ maker. 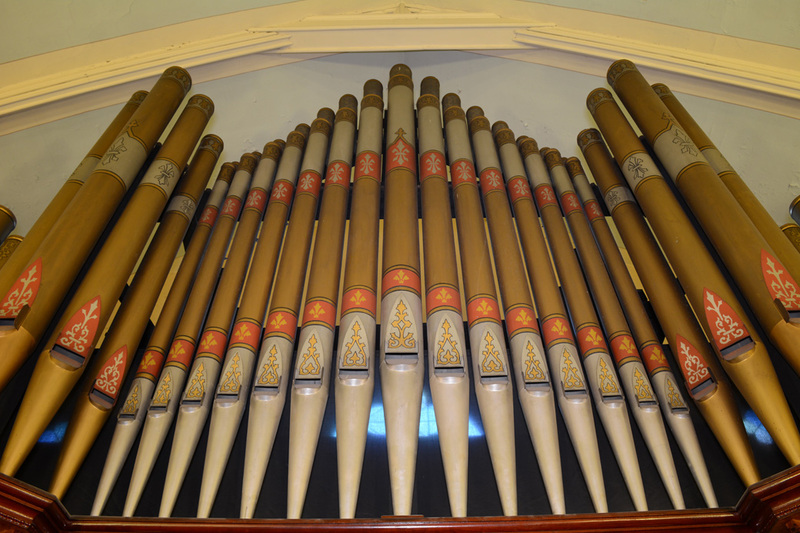 Prior to closing their doors in 1899, the company produced approximately 1,300 pipe organs in the United States and Mexico. Of the thirteen hundred organs, fewer than 100 remain. Additional information about the organ can be found on the Organ Society Database. Morris, Montrose Brownstoner. "Walkabout: Theobold Engelhardt, Architect" Online (10 October 2010). 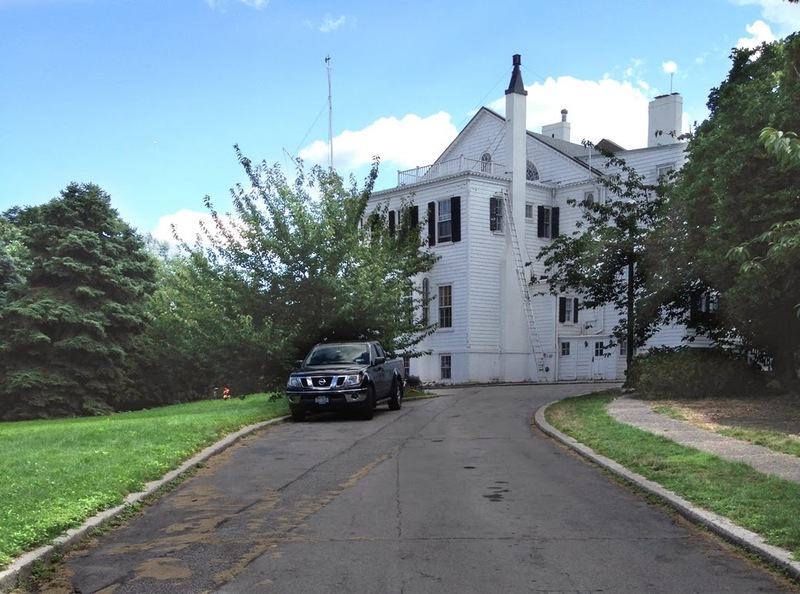 The term "hidden gem" is frequently used to describe historic architecture and when the term is applied to the Commandant's House it couldn't be more fitting. 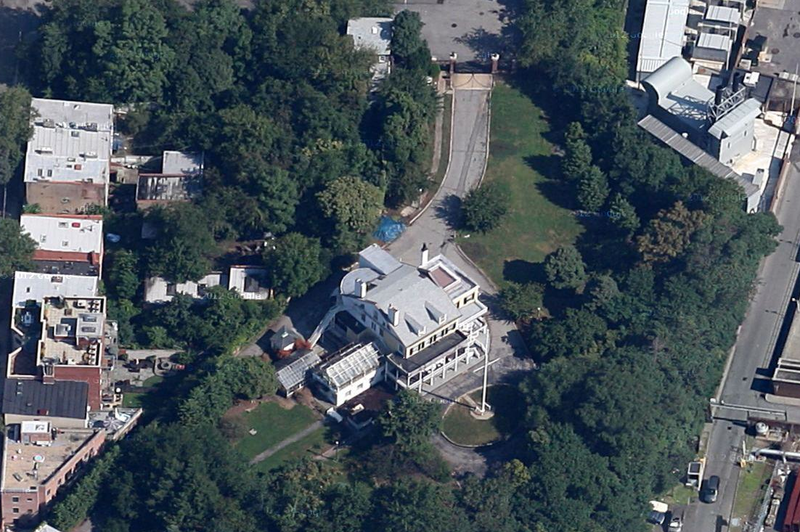 A New York Times article refers to the house as a "secret, secret" and while the house is easy to find with a google search, unless you are told about the place it is unlikely you will ever come across it. 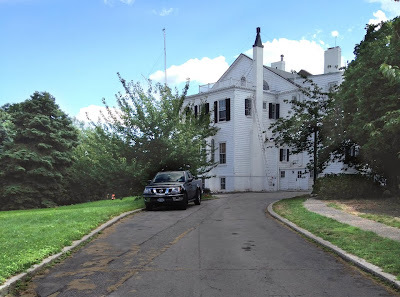 I discovered the Commandant's House while on a site visit for a proposed bikeway that will traverse part of Vinegar Hill. 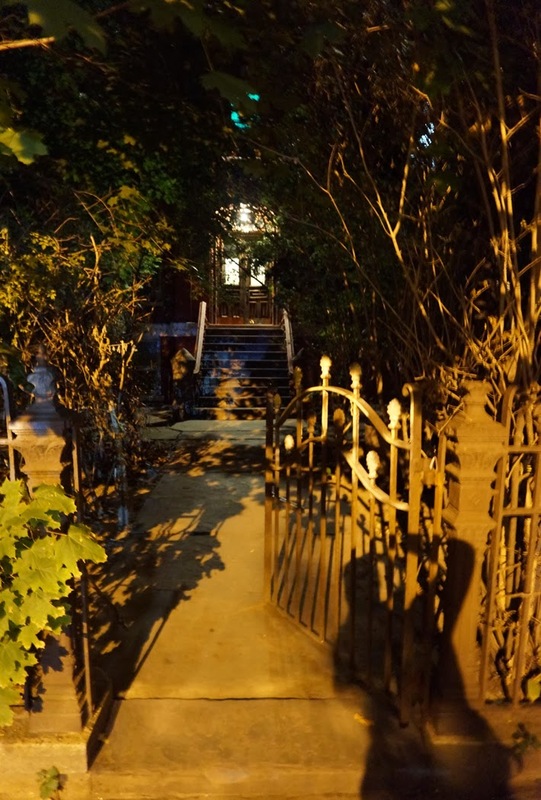 I first noticed the driveway gate which seemed out of place tucked away in an obscure part of the Brooklyn Waterfront. 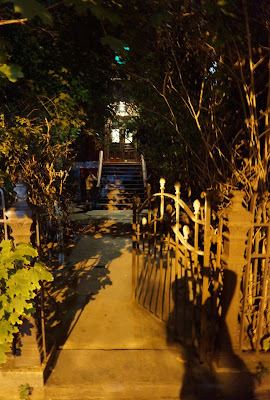 When I walked to the gate and saw the mansion framed by vegetation, I was blown away. The place is huge! It looks perfectly out of place in the urban context of the Brooklyn waterfront. 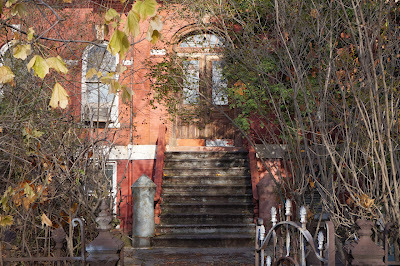 In private ownership since 1964 it is difficult to find a vantage point in which to view the three story residence due to the seven foot high brick wall, security gate and many mature trees on the property. Designed in the Federal or "Adam" style in clapboard, the Commandant's House was built 1805-1806 and expanded on in 1905. 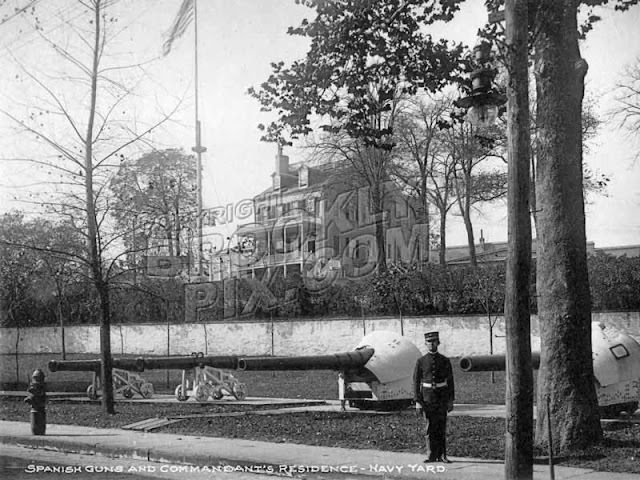 Although, the residence is painted white, it was likely once painted with a creamy yellow color to match other Navy Yard buildings of the era. The design of the house was rumored to be that of architect Charles Bulfinch, associated with John McComb Jr, however, documentation of the architect of record remains elusive. The Adam style was the dominant residential architecture style of the US from circa 1780 to 1820 and reached its peak in port cities of the northeast. The fanlight above the main door and delicate detailing of the cornice, as well as the roof balustrades on the northeast wing of the house are some of the features that distinguish the residence as an Adam style house. 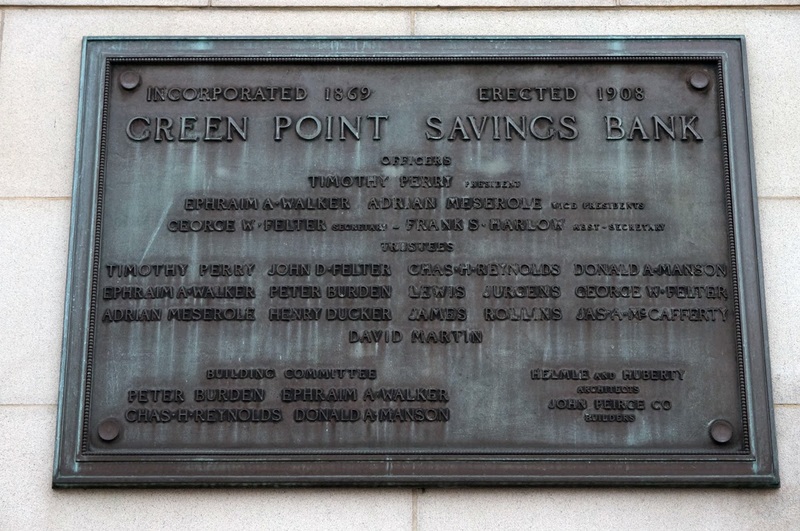 The Greenpoint Savings Bank was founded in 1868 by local citizens and businessmen, including Archibald Meserole, a member of one of Greenpoint's founding families. Built in 1908, this neoclassical building was designed by architects Helmle & Huberty and is constructed of limestone on a granite base. Some of the other buildings in Brooklyn Helmle & Huberty designed includ the Prospect Park Boathouse (1905), shelter pavilion in McGolrick Park (1910) and the Brooklyn Central Office, Bereau of Fire Communications (1913). 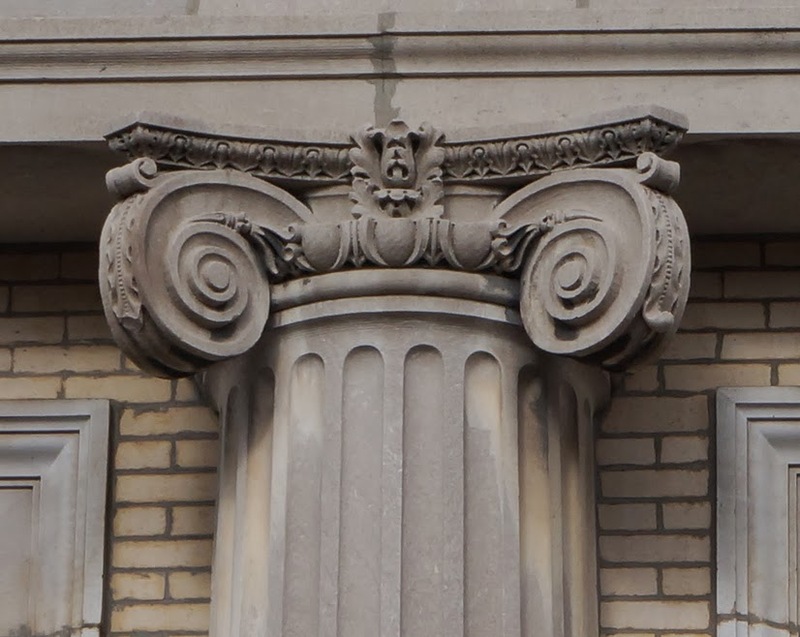 Classical architecture was historically used in the design of financial institutions as a means to project an image of strength and trust. The Greenpoint Savings Bank is no exception and it takes some of its design cues from the Pantheon in Rome. 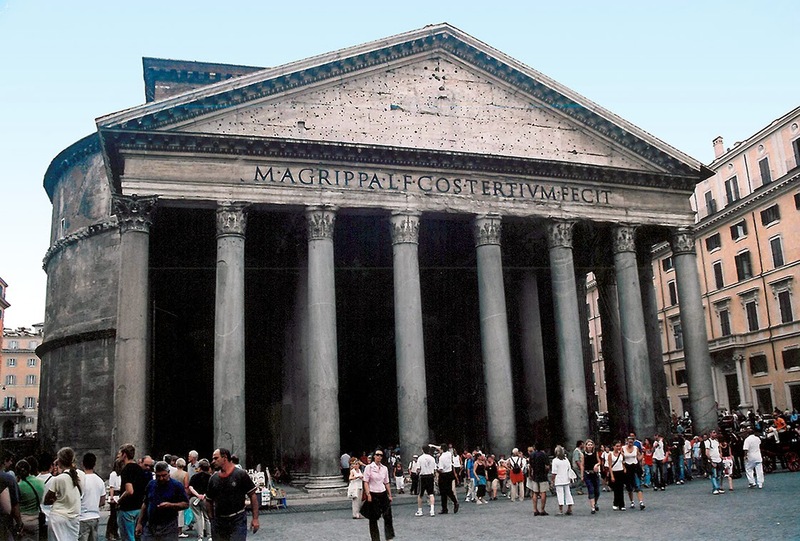 The dome is shaped much like that of the Pantheon and is clad in a fish scale pattern of slate similar to the original pattern of bronze shingles that once topped the Pantheon; although, the valuable bronze on the Roman structure was stolen during the Middle Ages. 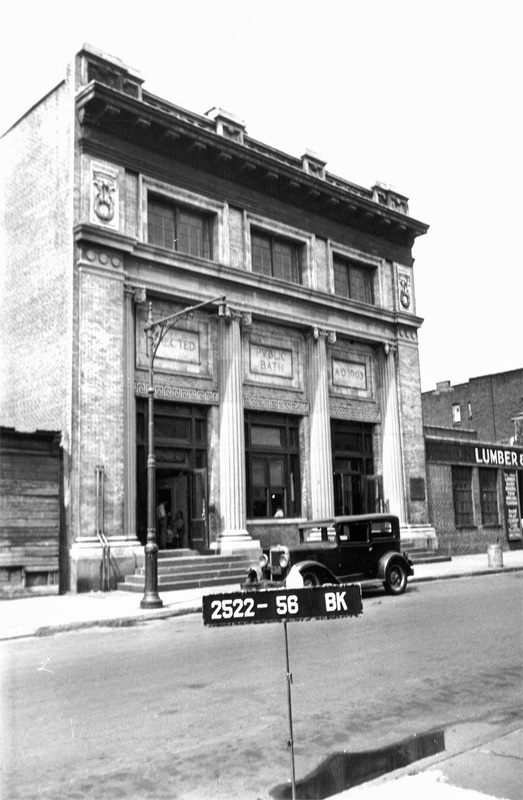 An L-shaped addition was added circa 1925, bookending the original building with new facades on Manhattan Avenue and Calyer Street. The design style of these facades was meant to act as a visual extension of the existing structure. Note that only part of the addition had been built at the time the historic photo at the top of the page was taken. The nondescript modern extension spanning from the classically designed structure to Lorimer Street was added in 1954. I included a photo of the Pantheon for comparison but unfortunately, as I recall, getting a good photo of the dome on the Pantheon was difficult. The plaza is a little too tight. Like the shingles, most of the marble veneer was removed. On a side note: If you visit the Pantheon and are into coffee, there is a cafe around the corner called "Tazza D'Oro" that sells something called granita di caffe. Granita is made of the ice crystals of frozen espresso layered with whip cream and Tazza D'Oro has the best granita in Rome. 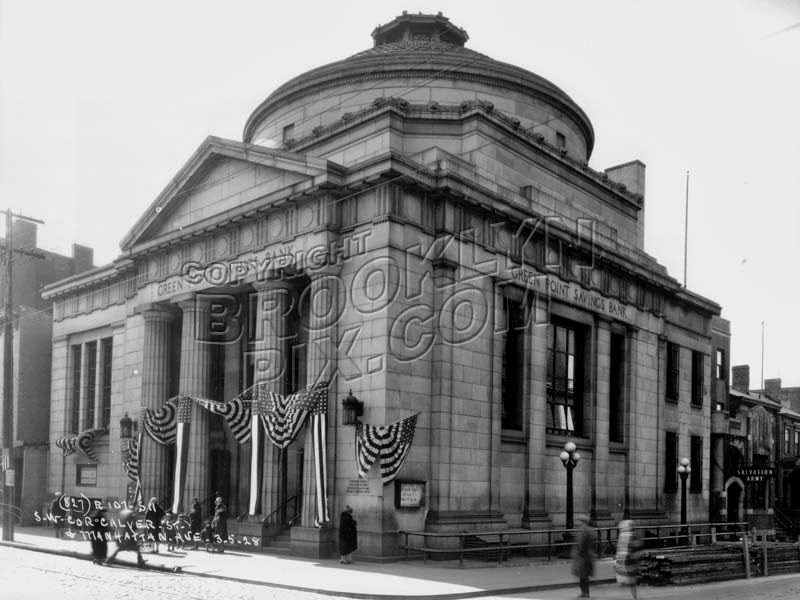 Commercial from the now defunct Greenpoint Savings Bank. The Greenpoint Terminal Market was a complex of structures connected by sky bridges that covered 14 acres across six city blocks. 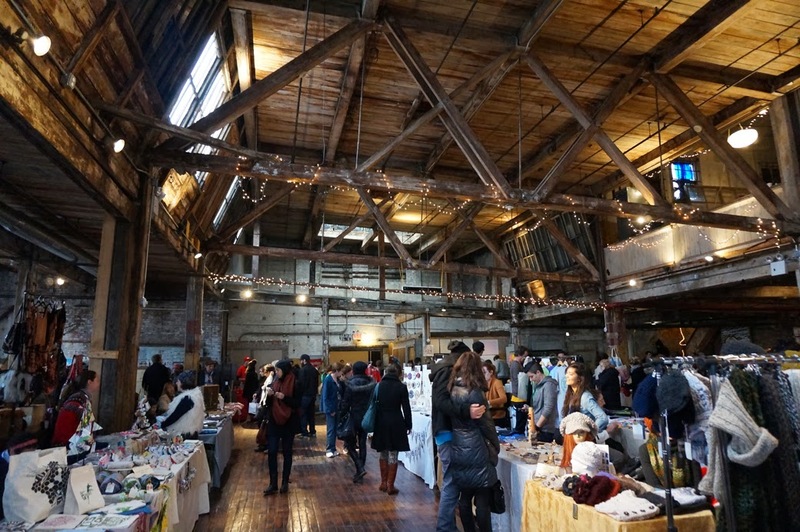 The earliest buildings of the Greenpoint Terminal Market date back to 1890 and were built by the American Manufacturing Company. 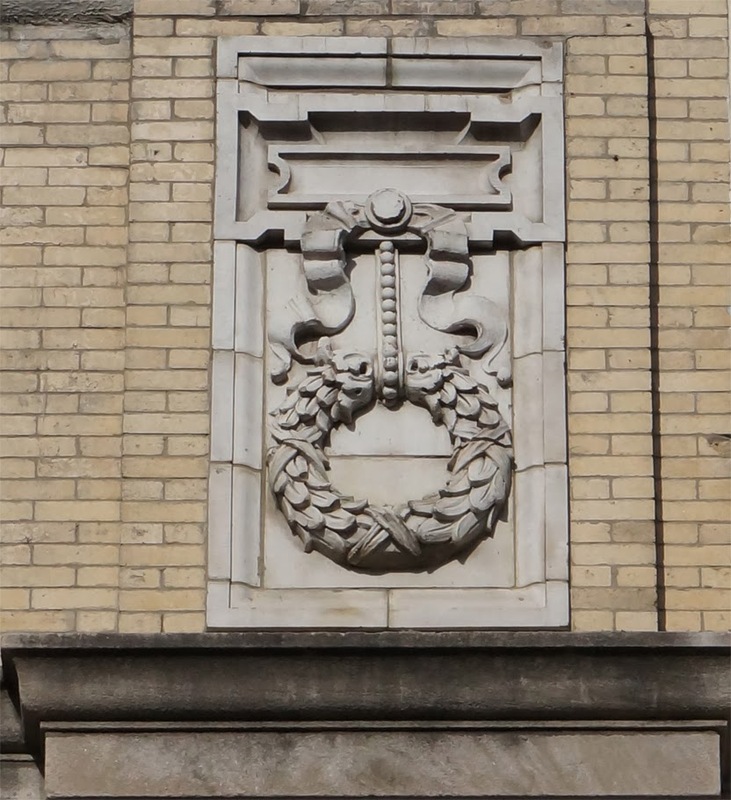 "The company was the largest rope manufacturer in the United States, producing rope, twine and oakum for the shipyards along the East River." As the second largest employer in Brooklyn at the turn of the century, the Greenpoint Terminal Market played an important part in American industrial history. The site hosted labor riots, later came to represent post industrial decay and neglect and recently has been repurposed as an informal art gallery and urban playground. Much of the industrial heritage that the terminal market came to represent was destroyed by fire in 2006 and today the complex is mostly vacant except for some small businesses that reside in a few of the remaining buildings. Some of the businesses that currently reside in the complex are Hollywood Stunts, a furniture design company (From the Source), as well as a few other small businesses. Two of the buildings are still empty. In 2011 a project called "Bring to Light" brought an array of light themed art installations including Nathan Kensinger's "The Forgotten City" that projected images of the interior of some of the terminal market buildings on a wall of an existing terminal market structure. More recently the buildings were paid a visit by British artist Banksy during his month long artist residency in New York. He painted white text reading "This Site Contains Blocked Messages" in Helvetica, one of the most ubiquitous fonts in use today and the official font of the MTA and New York City DOT's new citywide way-finding signs. It looks like at least one of the abandoned buildings will remain as luxury lofts but it is sad that so many of the buildings were destroyed. In 1910 an estimated 2,500 rope workers emboldened by a recent strike at the American Sugar Refinery (Domino Sugar Refinery) went on strike for higher wages and rioted when they were locked out of their factory. The riots which spanned several days with women acting as shields on the front lines, while men hid behind them and hurled rocks, coal dust and anything else they could turn into a projectile at the police. At times the police fired their service revolvers into the air to keep the crowd at bay and over the course of the protest arrested fifty five men and women. From the 80s until 2006 the industrial landscape of the Greenpoint Terminal Market became a playground for squatters, urban explorers, artists, musicians and skate boarders, many of whom knew the site as the "Forgotten City". This eclectic group of people used the site for parties, concerts, art installations, shelter and skateboarding. After the fire in 2006 the few buildings that remained were reclaimed for various uses. The skate park (Autumn Bowl) that was spared by the fire, remained in use until it closed in 2010 when the rent became too expensive. The Autumn Bowl was a 2,500 square foot skate park built in 2003 that survived the fire. Pictured in the left photo is Brian Davis skating the Autumn Mini, one of the ramps that was in the building. Although the red brick facade seen in the photo of 61 to 73 West Street appears to be that of a continuous structure the building is connected at the front, then separates into two wings that are connected by sky bridges. 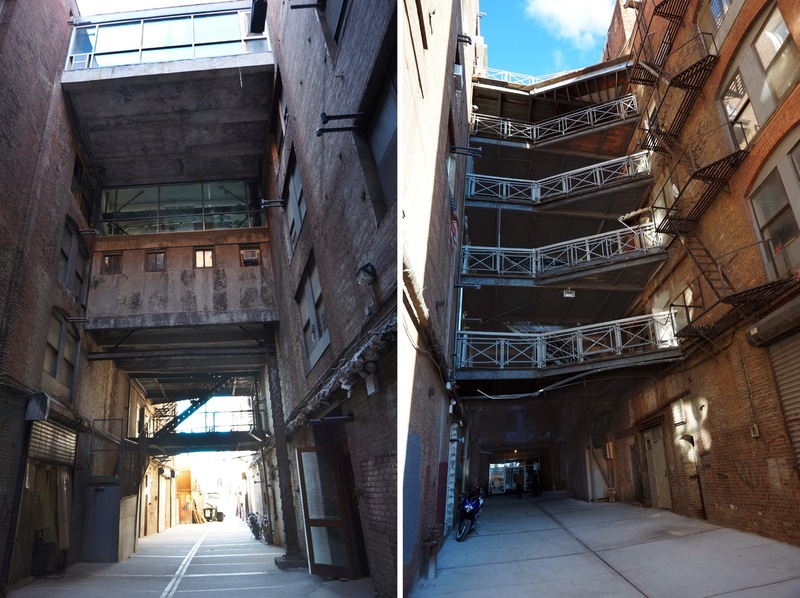 The photo on the left shows the sky bridges as you walk through the building's main entrance toward the East River. The image on the right shows the stairs behind the sky bridges. 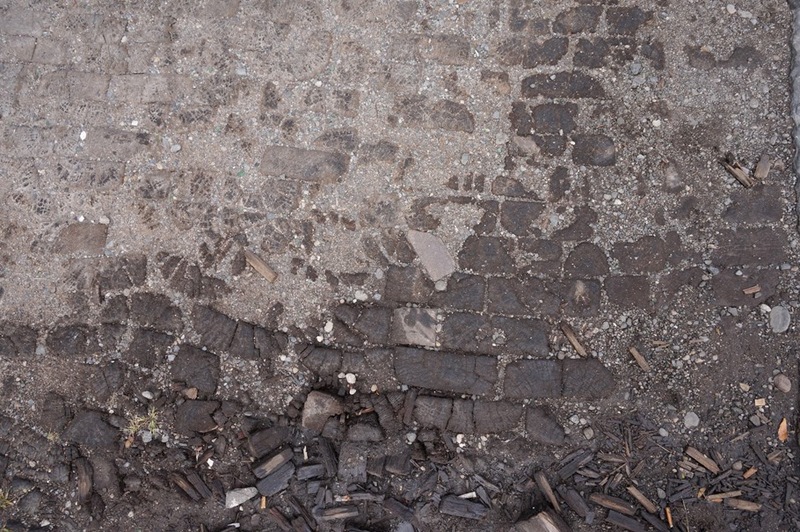 The wood cobbles in front of the red brick building that spans 61 to 73 West Street are thought to be the last remaining wood cobbles in New York City. I never got to know the dystopian "Forgotten City". 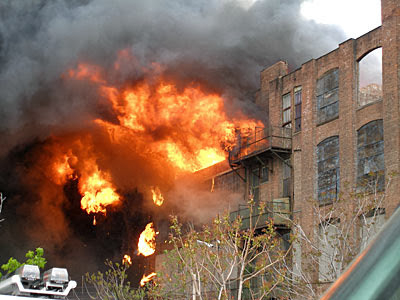 I awoke one spring morning in early May of 2006, during my first year living in NY and looked out the large windows of my Bushwick loft to see a huge column of smoke rising from somewhere in North Brooklyn. Most of the Greenpoint Terminal Market buildings went up in the flames of a 10 alarm fire that day. I regret not exploring the ruins when I moved to within a couple of blocks of the site a few months later. The photo above was taken by local artist TM Pugh and you can find many more images of the fire in the visual archeology section of his site. The fire, which happened under suspicious circumstances, was investigated and the blame was placed on a 59 year old Polish immigrant named Leszek Kuczera who was reportedly burning insulation off of wires in a practice known as "mungo". According to a NY Magazine article one former fire marshal said "if that was a mungo fire it was the biggest mungo fire in history". I doubt that the Polish immigrant was to blame. Kuczera, who confessed to the crime, spoke little English, was hungover the morning of his confession and later rescinded his confession with an alibi to back him up. 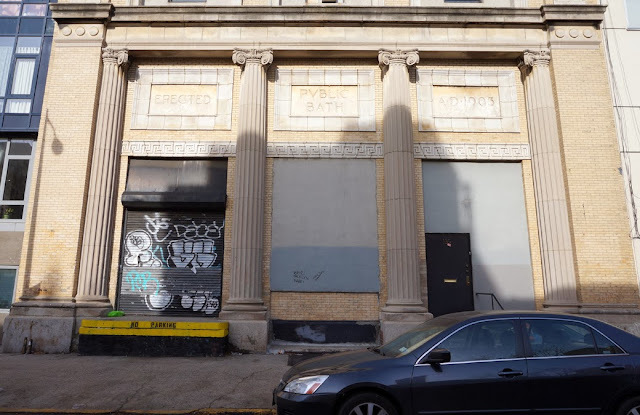 I am not one to buy into conspiracy theories; however, mysterious fires often follow land development and the developer who owns the Greenpoint Terminal Market (Joshua Guttman) has a sordid track record. 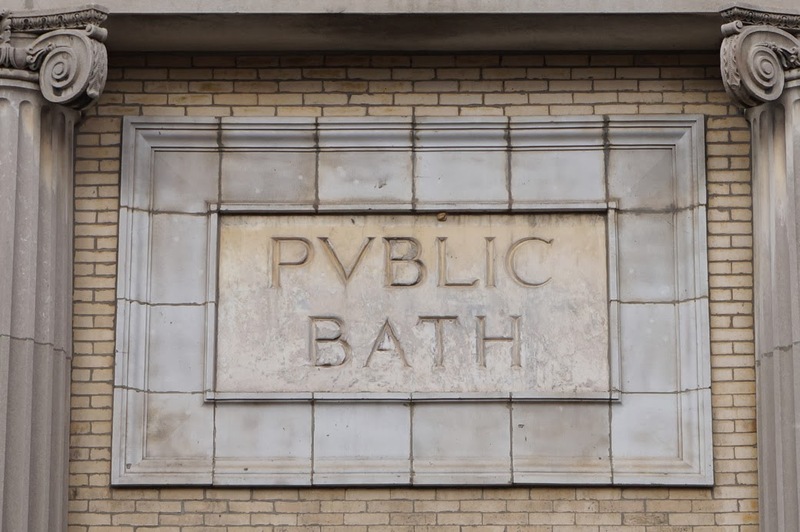 Prior to the fire, Guttman had a four hundred and twenty million dollar deal to sell the complex fall through and the Municipal Art Society was pursuing landmark status for the entire terminal market complex. 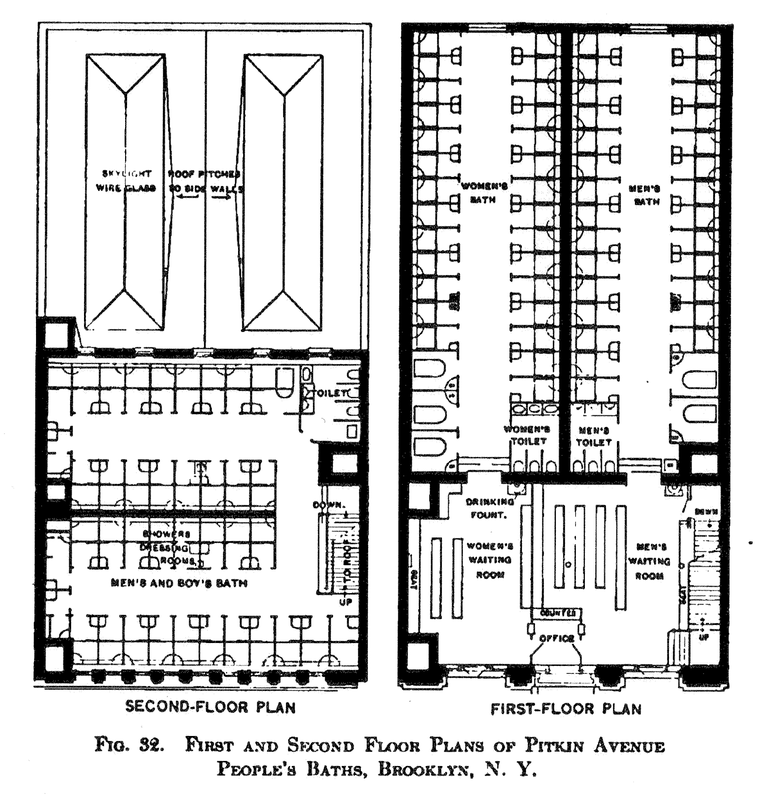 Had the Municipal Art Society succeeded, development of the Greenpoint Terminal Market would have been greatly restricted. 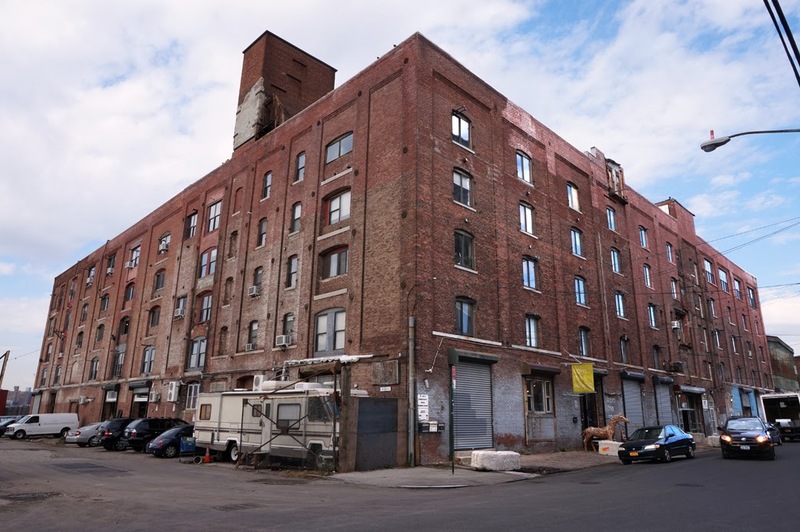 I met a woman who lived in Joshua Guttman's artist loft building in Dumbo. 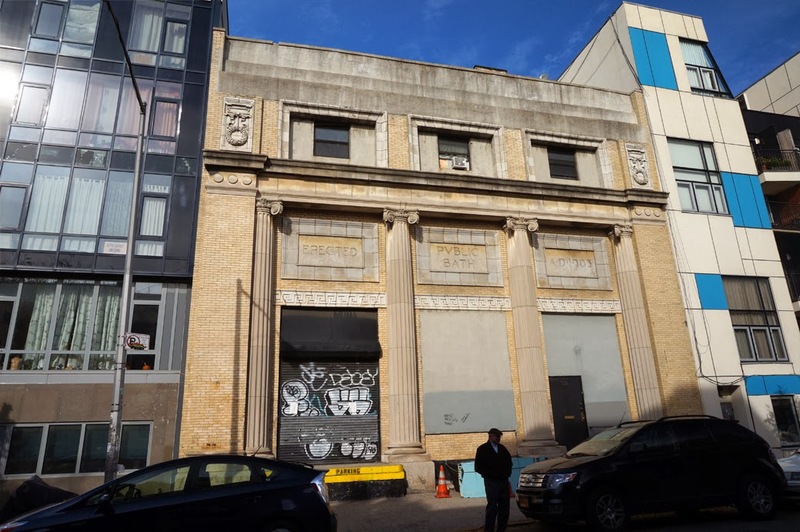 I was told by her that the building was kept in non-compliance with loft regulations; so, when Guttman was ready to develop the site, likely he or one of his people called the city out to inspect the building. The city then evicted everyone due to the building's noncompliance and the tenants had to be out within hours of the eviction notice. When the tenants sued to continue living there, Guttman reportedly gave keys to at least one local homeless man, maintenance of the building ended and garbage that attracted rats was left in the common spaces. When Guttman was unable to develop the building the way he wanted, it too mysteriously went up in flames in 2004. When a city abdicates public authority to private developers terrible things tend to happen to those who stand in the way of real estate profits. The year after the rezoning of the Brooklyn waterfront and other Brooklyn neighborhoods, fires increased by fifty percent. Many people were burned out of their homes and several people died in the wake of those fires. It is ironic that during white flight buildings were torched by owners wanting to cash out of declining neighborhoods and now buildings are torched to evict low paying tenants in some of those same neighborhoods currently on the rise. Kensinger, Nathan "The Greenpoint Terminal Market Revisited" The Abanoned and Industrial Edges of New York City. Online. 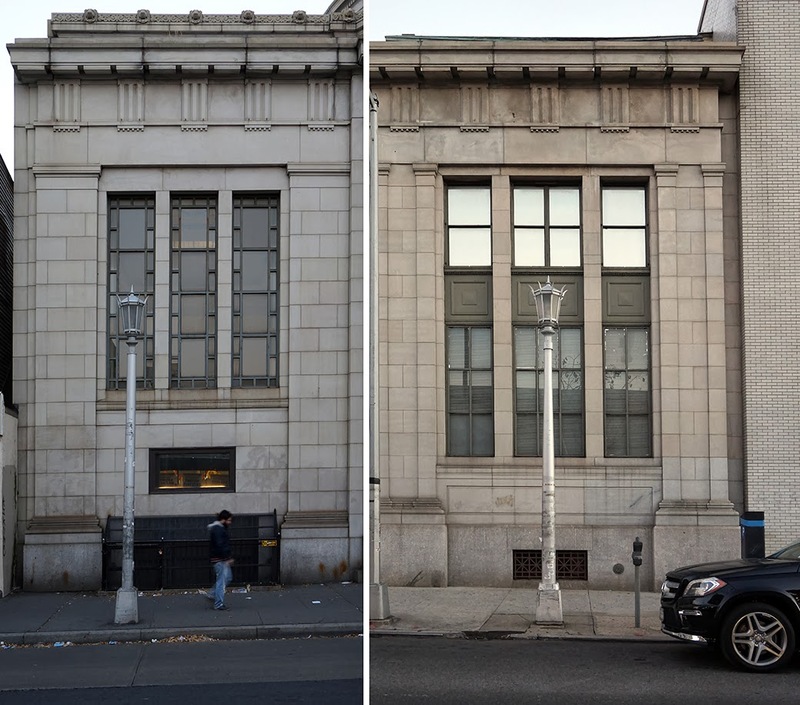 "Greenpoint Terminal Market" Atlas Obscura. Online. Saint Anthony of Padua (1195-1231) was a Portuguese Catholic Priest and frier of the Franciscan order. 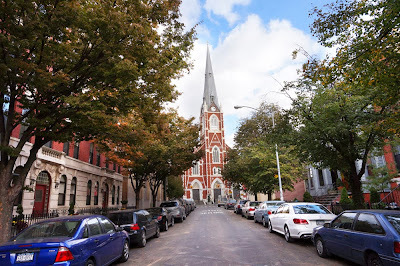 Built in 1875, St. Anthony of Padua Church in Greenpoint is a quasi-cathedral designed in the Neo-Gothic style by prolific church architect Patrick C. Keely. The church is clad in red brick and accented with limestone, adding distinction to the structure and giving it a gingerbread look. Towering over the neighborhood, the church's spire is perched atop the clock tower and reaches 240 feet above street level. I can hear the church's bells toll from my apartment four minutes past every hour. 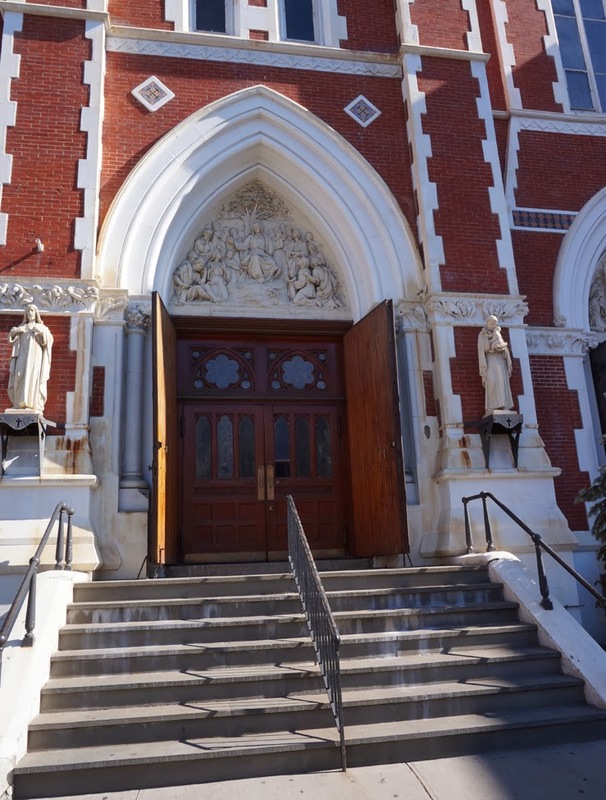 The dominant presence the Church of Saint Anthony has on Manhattan Avenue provides a visual anchor for the intersection of Milton Street and Manhattan Avenue. 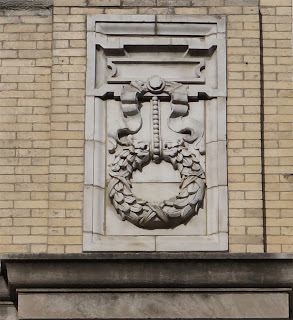 Architect Patrick Charles Keely (1816-1898) lived and practiced in Brooklyn, designing many of the borough's ornate ecclesiastical structures. Keely's portfolio includes as many as 700 church buildings constructed in the northeast, south and midwest. 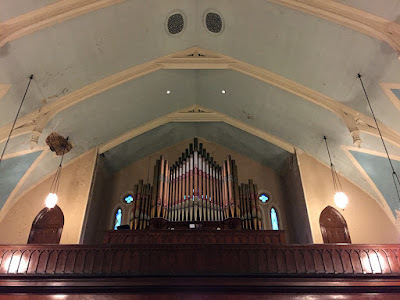 Some of Keely's other Brooklyn churches include: the Church of St. John the Baptist, Immaculate Conception Cathedral, St. Agnes Church, St. Patrick's Church, St. Stephen/Sacred Heart Church, St. Benedict Church and St. Peter's Church (now condos). 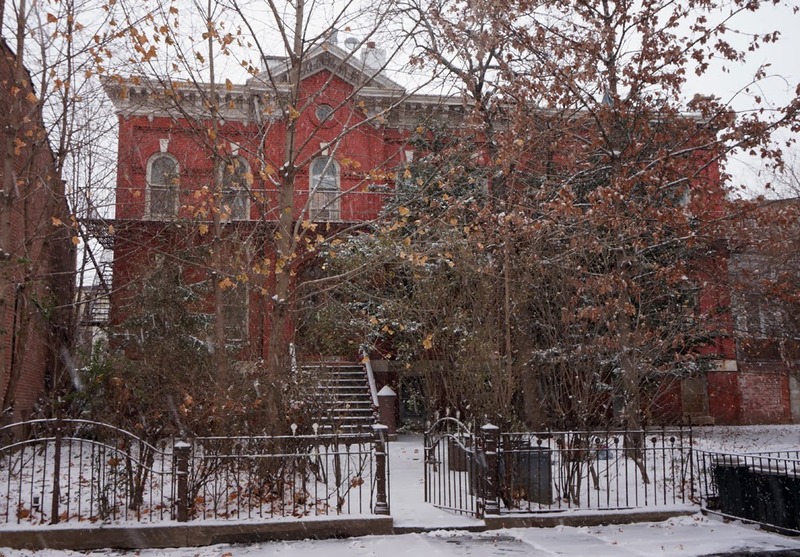 Many of Keely's Brooklyn churches have been closed, burned or demolished. 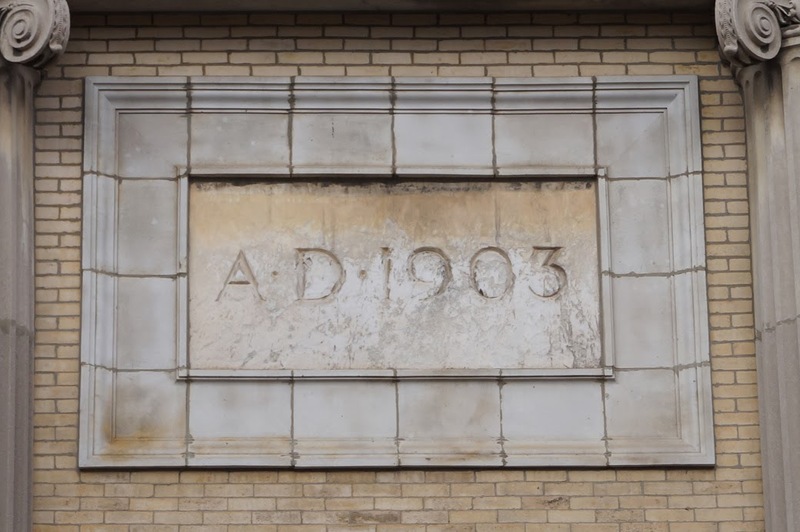 Due to its height and distinct character this building is a local landmark providing a visual reference while navigating the neighborhood. 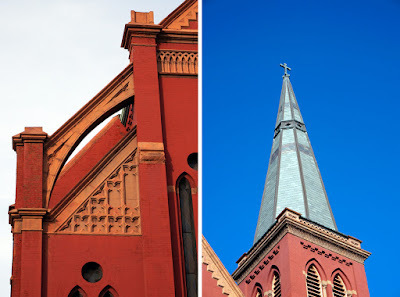 This church was the first building in Greenpoint to make an impression on me. 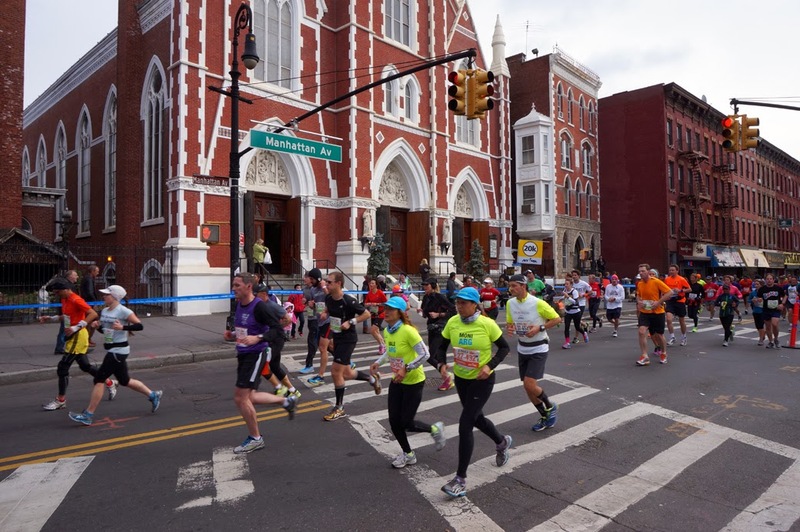 It became a distance marker for me when I used to ride the bus from Williamsburg to Long Island City along the journey from my first apartment in Bushwick to a friend's apartment in Astoria. Flanking the recessed door is a sculpture of Christ to the left and what I am guessing is a sculpture of either Saint Anthony or Saint Francis on the right. 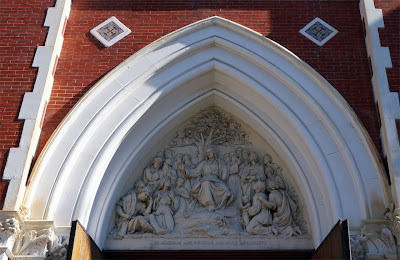 The tympanum (sculpture above the door) shows Jesus at the center of a biblical narrative. 1. White, Norval, Willensky, Elliot, and Leadon, Fran AIA Guide to New York. Oxford University Press, 2010. 2. "Symposium on architect Patrick C. Keely". H-Net.msu.edu. (20 February, 2013) Online. 3. 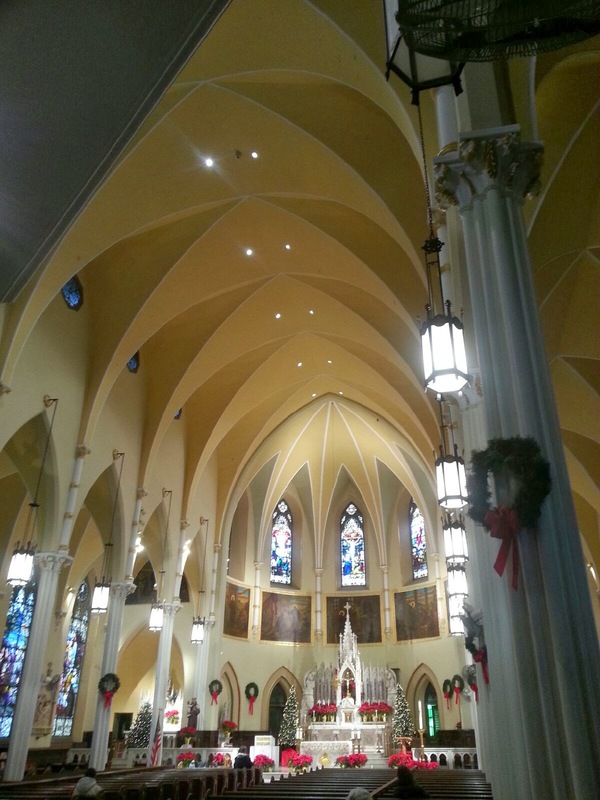 "Churches of Patrick C. Keely". Keely Society. Online. What was once used to move troops and supplies is now a space for commercial and light industrial use. 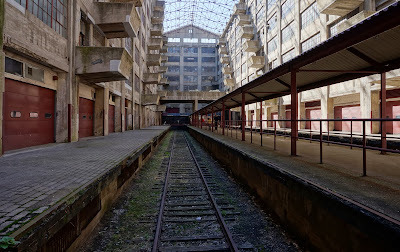 The Brooklyn Army Terminal or 'U.S. Army Military Ocean Terminal' (1919) was originally built as a multi-modal shipping facility to serve the war effort during World War I but the war ended prior to the terminal's completion. 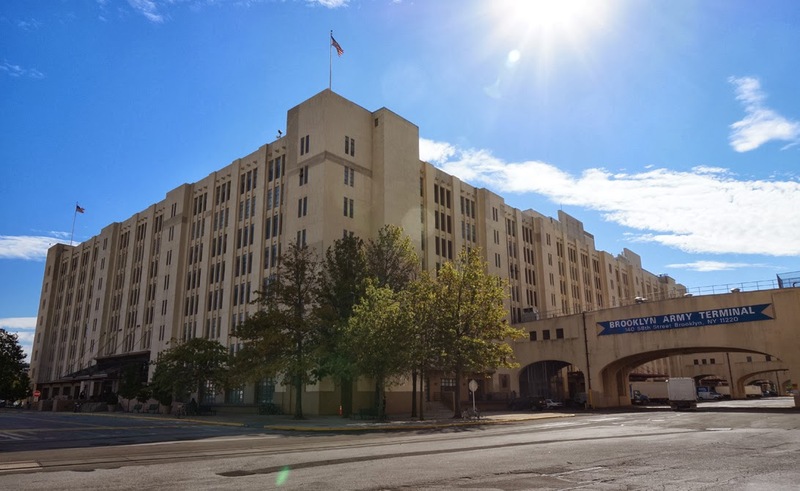 The building saw the most action during WWII when over 37,000 tons of supplies were ferried through the building and 56,000 military and civilian personnel were employed there. The army terminal was built in response to the first world war and was the largest military supply base at the time. 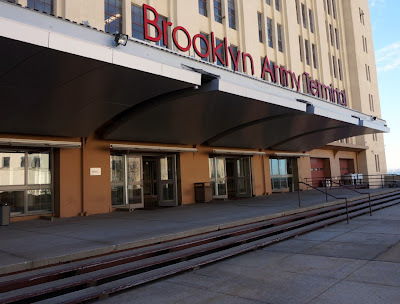 To meet the demands of a truncated design and construction schedule the Brooklyn Army Terminal is architecturally unique in style and in the scale of methods and materials used for its construction. Designed by Cass Gilbert, the Brooklyn Army Terminal buildings were an architectural marvel having been built in an astounding seventeen months. In addition, the Terminal was the largest reinforced concrete construction project of its time. When the terminal was fully operational it received supplies by ship and rail. 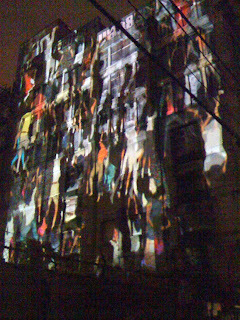 The supplies would be offloaded by crane, dropped onto one of the many balconies according to its destination country, which was painted on the wall, then processed. Cargo moving through the terminal never had to touch the ground while in the facility. While not nearly as tall as some of Cass Gilberts other structures, the Brooklyn Army Terminal is longer than the Wolworth building (designed by Cass Gilbert) is tall. During a time when romantic styles were still popular, the interior of this building looks more like 60s Brutalist architecture. 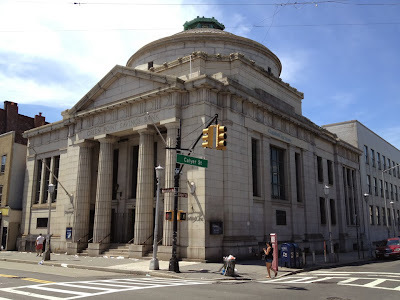 Architect Cass Gilbert, who was better known for ornate Beaux Arts and Gothic Revival styles of architecture designed this building with function as the primary design determinant; so, the building is "appropriately austere". Gilbert also designed the Austin, Nochols & Company Warehouse on the Williamsburg waterfront that was recently converted into condos, as well as many other noteworthy buildings. While Cass Gilbert was the principal architect, Irving T. Bush, owner of neighboring Bush Terminal provided expertise relative to large scale shipping facility design. After WWII the shipping methods for which the building was deigned became outdated as new methods of shipping using shipping containers became widely used. However, the building complex was in use until the early seventies before closing and sitting empty until 1981 when it was purchased by the city of New York. The Brooklyn Army Terminal renovation that began in 1984 is nearly complete and to date all available commercial space is occupied by tenants. 1. Tour. Open House New York (OHNY). Brooklyn. 12 October. 2013. 3. White, Norval, Willensky, Elliot, and Leadon, Fran AIA Guide to New York. Oxford University Press, 2010.